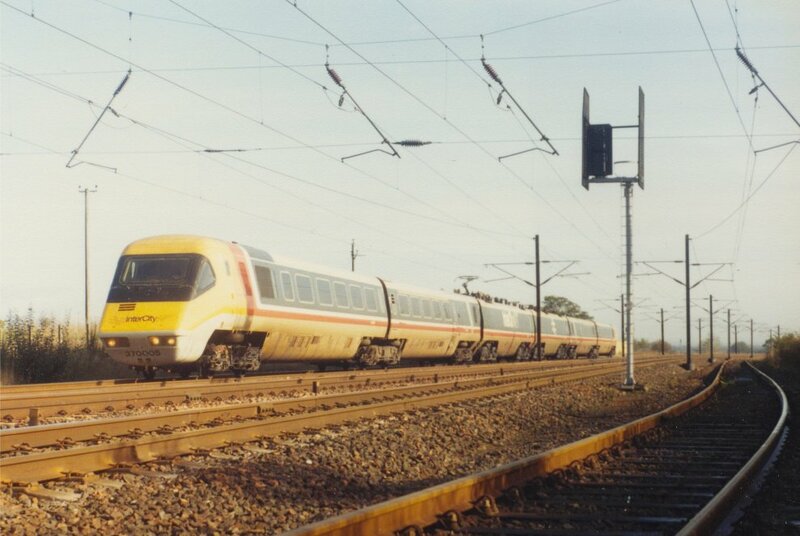 As part of the development of the BR/Brecknell Willis high speed pantograph the author was involved with high speed pantograph testing on the ill-fated 25 kV electric Class 370 prototype version (APT-P) on the WCML in England and in Scotland. 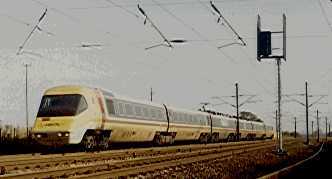 The APT-P (or P-train as it was known) was the only traction unit which could test the pantograph to its limits. Set No: 370004 sits in Willesden Carriage Sidings, London after failing on a VIP test run from Euston Station. In early summer of 1980 the BR/Brecknell Willis pantograph had been installed on this set and this was one of its first runs. Needless to say the failure was unconnected with the pantograph! 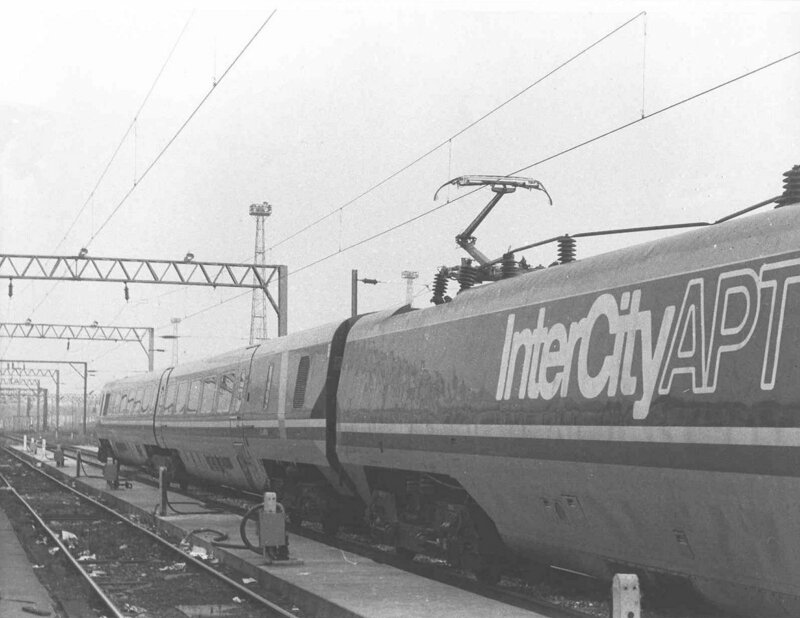 A shortened APT-P Set No: 370005 was formed with one of the power cars fitted with the BR/BW pantograph fitted and was used to conduct some high speed pantograph performance tests on the Scottish section of the WCML in October 1983. Testing was undertaken between Beattock Summit and Quintinshill. Based at Glasgow Shields depot the train ran to Beattock Summit at line speed then dashed down through Lockerbie to Quintinshill at speeds up to 150mile/h - the train would have been quite capable of higher speeds as the current collection was excellent but the Civil Engineer was concerned about running over certain underbridges hence limited the maximum speed. APT-P attained a speed of over 150 mile/h with the BR/Brecknell Willis pantograph over the week's test runs with exceptionally good levels of current collection. 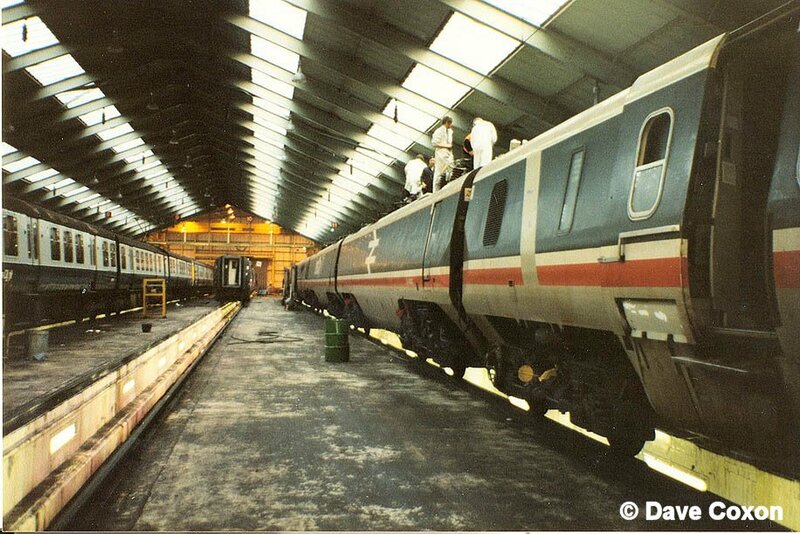 Engineers set up the pantograph on 370005 inside Glasgow Shields Depot prior to one of the test runs in October 1983 Two APT's for the price of one in Glasgow Shields Depot in October 1983. 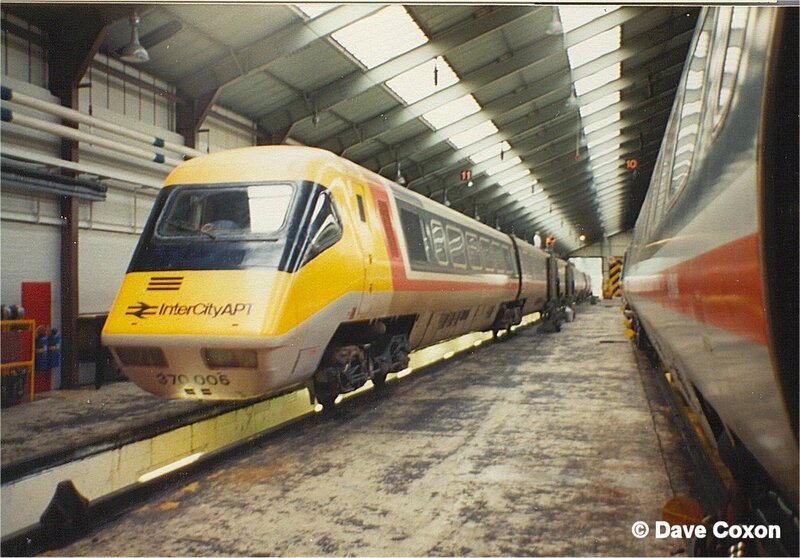 On the left 370006 receives attention to its pantograph whilst on the right the test set No: 370005 has the tilt safety devices in place on the coaches. 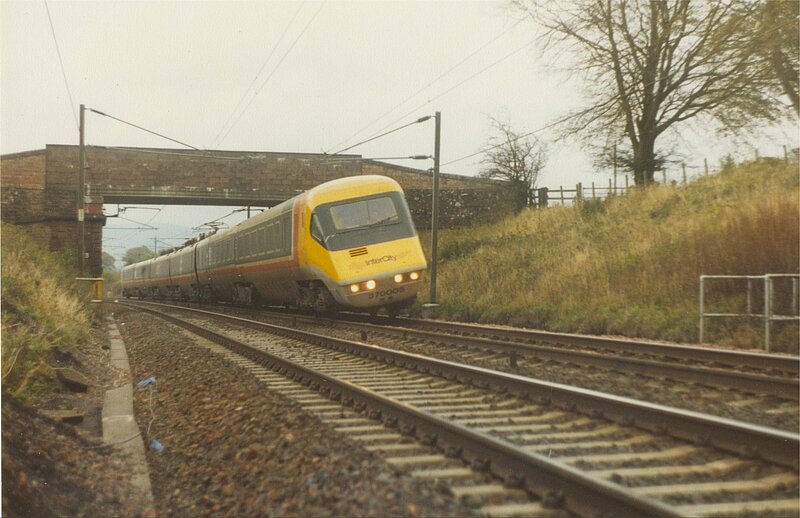 A shortened APT-P Set No: 370005 rounds the curve at Murthat, just north of Lockerbie on the Scottish section of the WCML. 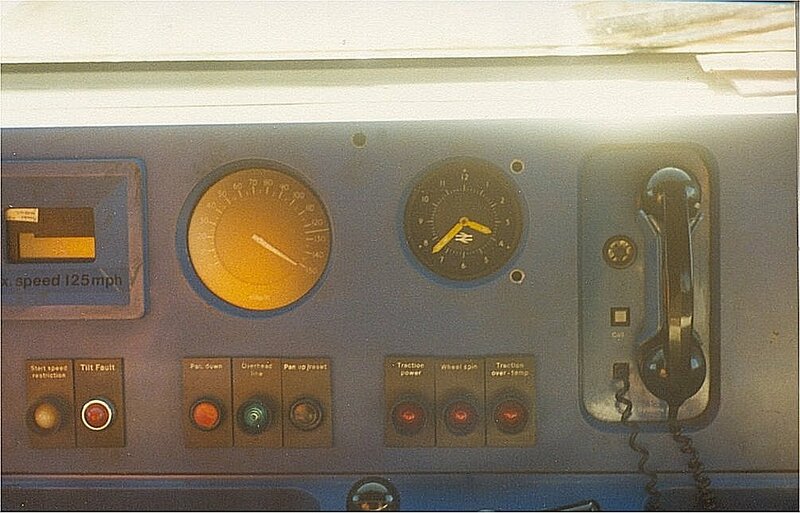 The set was travelling at around 150 mile/h on the Up run from Glasgow to Carlisle. 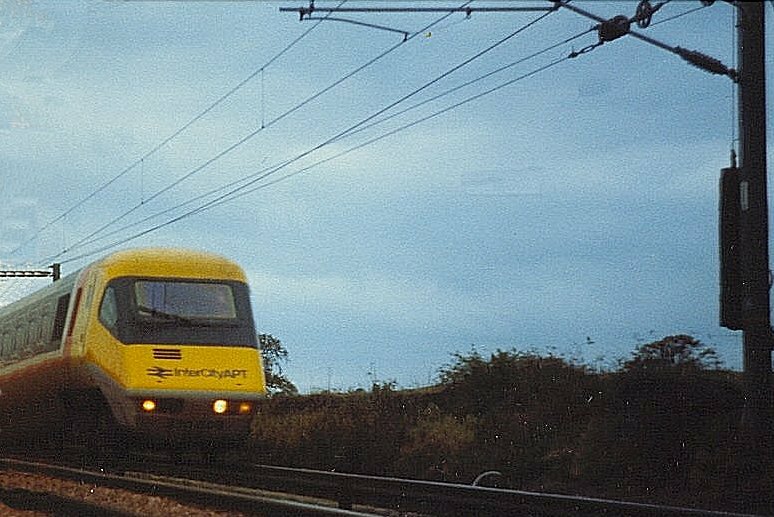 The OHLE neutral section at this point was instrumented and was also being filmed as the pantograph traversed it at speed. APT-P Set No: 370005 in a six-car formation sits in the Up loop at Quintinshill, infamous as the scene of the worst railway accident in UK history. 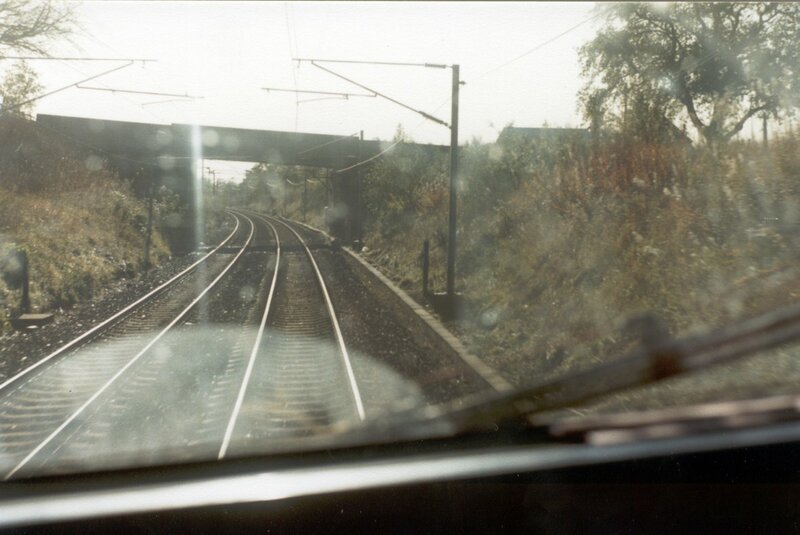 It is awaiting a path to return to Glasgow in October 1983, during the pantograph test series. 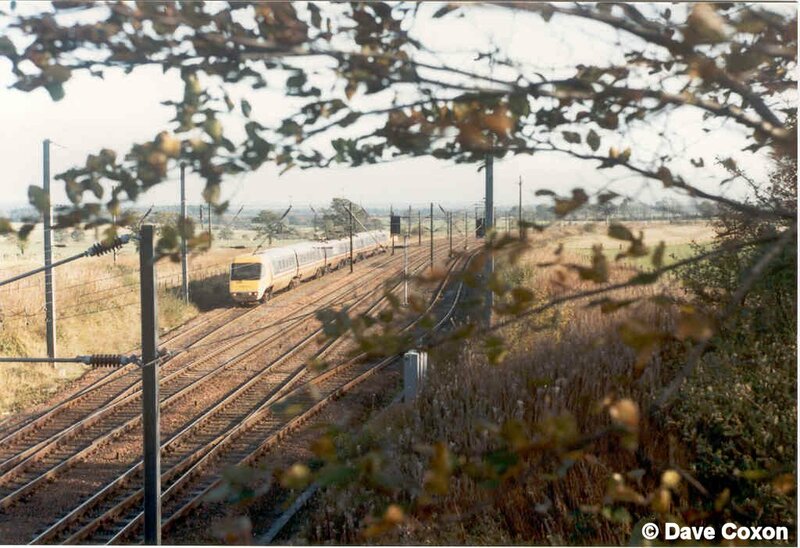 A sylvan scene at Quintinshill - taken from the overbridge This is the view out of the rear cab window of 370005 at high speed, thrashing down the bank towards Lockerbie.